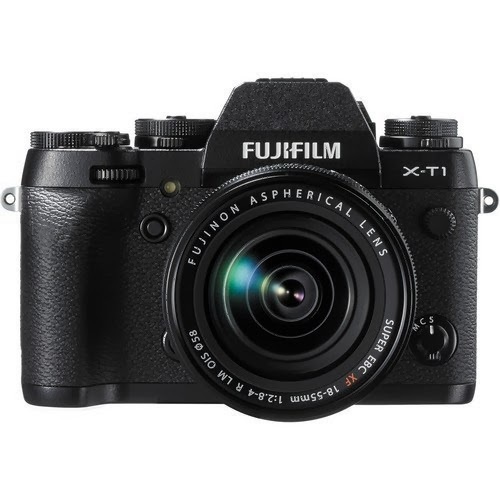 Today I got to have a hands-on with the new Fuji X-T1 professional mirrorless. First impression was WOW... very very nice to hold. The rubber is really grippy and moulded perfectly for my hands. As per the photos, the dials and buttons seem to have quite a bit of thought put into them regarding the layout. Everything just seems to fall into place beautifully. I used the 23mm 1.4 lens today. The autofocus is quick and positive. I struck no issues regarding this in cloudy daylight. I had no chance to try it in low light conditions which Im looking forward to trying at a later date. Viewfinder, after all the hype regarding this I was expecting something really special. Alas, for me, no. Its definitely very good and it is large but its still nowhere near optical as some have inferred. Files seem to be the best Ive seen out of the Fuji system yet. Ive never been a major fan of the way the X-Trans sensor draws but it seems to be different in this camera. It doesnt seem to have the "thatch work" pixel level drawing that X100s etc have. I would have thought it was the same sensor so theres something different at play here. How would you compare the EVF to Sony's A7 EVF? I was let to believe that basically they are the same sensor and processor. Without actually having them here with me now I think they are about the same. The only viewfinder that stood out as margionally more detail is the Olympus EM1. I am led to believe they are the same sensor and processor too so Im not sure where the difference is coming from but it is certainly there. Maybe the updated Irident Developer software had something to do with it...If so, buy that software! Can you explain more in detail how the files look better then the older xtran files. Ive read from other sites people not liking the images from the xtrans sensor also. The Xtrans sensor when blown up for sizeable printing has an almost "thatched" or brush stroke appearance to them. If you see the same shot taken with the likes of the Sony sensor it has detail all the way in which is very apparent in a large print. The Xtrans in the same shot will have artificial looking detail thats all "criss cross" in effect... Like I pointed out though, this camera doesnt seem to suffer so bad as the others. NZ Landscape, Travel & Fine Art photographer.